To meet even the highest of requirements, the R&S® SMF100A microwave signal generator was designed and developed as a completely new product. 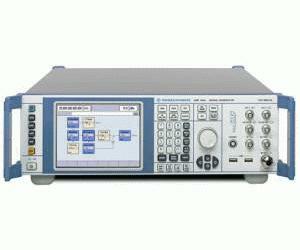 The result is a first-rate, state-of-the-art microwave signal generator that sets new standards. It thus covers the numerous fields of application encountered in R & D, production, service, maintenance, and repair.